The beer and wine scene in Goleta is one of the most fun and welcoming ones around. It’s easy to immerse yourself in local flavors, which also happen to be top notch and world-class. Our packed itinerary is the perfect guide for sipping and snacking your way through "The Good Land". Since 2007, Hollister Brewing Company has been raising the bar on good beer. Located right downtown, HBC has up to 15 different, unique beers on tap at any given time, but it’s the locally owned and operated vibe that will draw you in. Once you’re here, make sure to sip one of the notable ocean-inspired ales, such as Pacification or Beachside Blonde. A bar menu, happy hour menu kids menu, and wine and cocktail menu all complement the beer list. For an entirely different experience, consider the Foley Food & Wine Society. As the name suggests, this outfit focuses on the finer things in life, including exclusive wine tasting events and pairings. Enjoy pours from around the world, and learn more about wine culture and tasting. Draughtsmen Aleworks offers the quintessential coastal mom-and-pop craft brewery experience. This fine establishment specializes on small batch beers, including familiar ales, IPAs, and experimental brews. The small team is a big fan of doing good, with the motto, “Our goals are to produce our favorite beers, create a community with good people while inspiring positive change in our community — one beer at a time.” This tasty taproom is well worth a visit. While the menu might suggest that pirates run this place with names like Walk the Plank Milk Stout, Aye Aye PA, and Shipwreck Belgian Tripel, the team at Captain Fatty’s Craft Brewery is well above board. Head Brewer Preston Angell traded medical school for microbrewery, and now the handcrafted and locally grown ales he produces are a must for anyone who loves the art of brewing beer. Check it out Wednesday – Sunday. 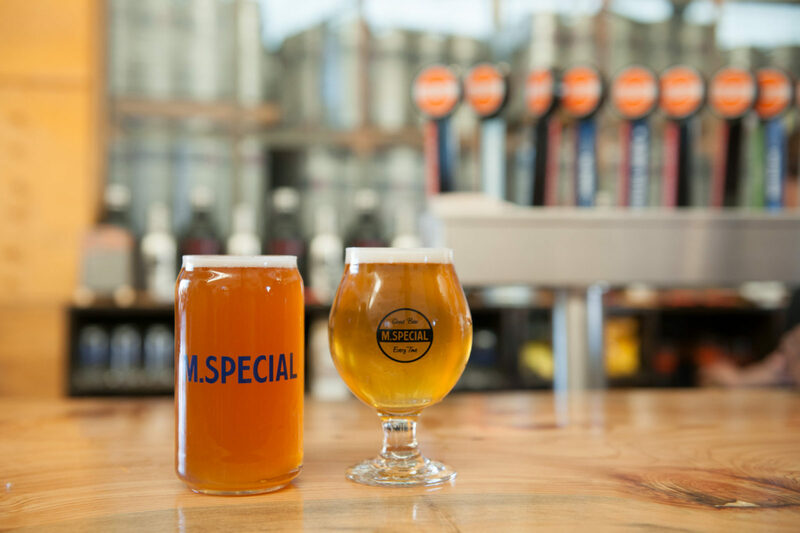 M. Special Brew Co. combines a unique crew of folks to produce a unique silo of suds ranging from IPAs to American lagers. For a throwback to Belgium’s brewing roots, try the All Time Special Farmhouse Saison. The tap room is open Saturdays and Sundays from 11:30 am – 9:00pm and frequently features local bands and food trucks. And what if you can’t taste it all while you’re here? Or you did, and you want to share the special Goleta flavors with friends and family? Santa Barbara Gift Baskets is the perfect way to put a bow on your Goleta beer and wine experience. This family-run business creates signature Goleta gift baskets featuring local gourmet foods, wines, and handcrafted beers. Take one home with you, or put in an order — Santa Barbara Gift Baskets offers nationwide shipping!